Gondo is about to complete a corporate takeover of a large company, having acquired all the funds by placing everything he owns on the line. That is all placed on standby as a kidnapper calls asking for a ransom for his kidnapped son. He immediately agrees - what is money compared to his own flesh and blood? 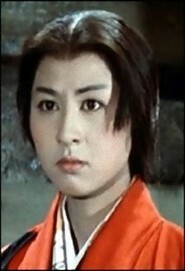 But the kidnapper has kidnapped the wrong boy, not Gondo's, but the son of his lowly chauffeur, Aoki. Suddenly all eyes turn back to Gondo. A moral dilemma for the ages - is this boy worth the same ransom? 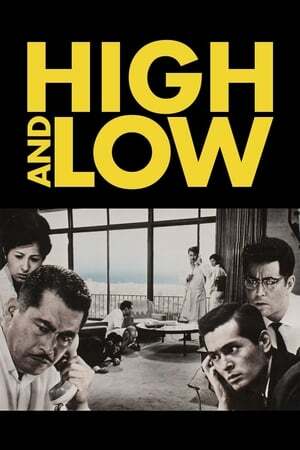 In High and Low, Kurosawa tackles how capitalism has a tendency to transform citizens, to elevate some and shunt off others, to create a breeding ground where morality and integrity are often brushed aside for material gain.As the title dictates, Kurosawa takes us from High to Low. The first third of the film takes place in Gondo's luxury, high-rise apartment, where in one wide shot towers over the rest of the town like a heavenly paradise. 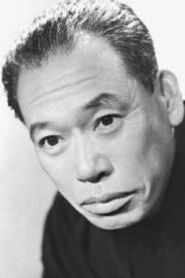 Here where we witness Kurosawa's mastery of the frame, his breathtaking blocking and composition. He does not need to push in for a close-up - the master shot reveals every character's actions and reactions in relation to each other. When that fateful ring of the phone sounds, they all flock to its source. 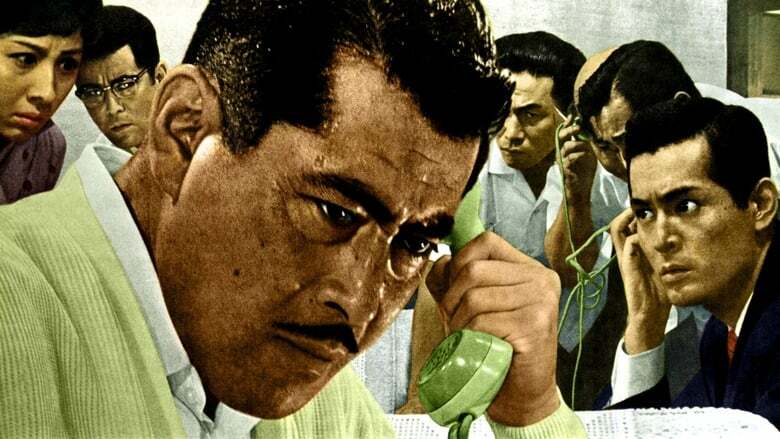 Later, as they consider the moral dilemma of Gondo, Kurosawa arranges each body around and behind him, staging their surrounding of the figure theatrically, their eyes staring, judging. 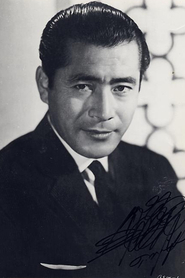 When he angrily refuses to bow to the whims of the kidnapper, Mifune walks across the frame and out of the group, facing away and shielding himself from their judgement, taking an eternity to even meet the eyes of Aoki. 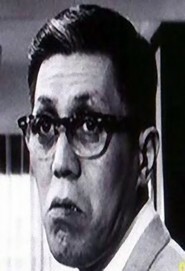 Yutaka Sadaias is the lowly chauffeur, who talks less with dialogue but with his body language, the way his profile seems to be ever drooping in misery and fear, staring at his shoes like he is unworthy to participate in the discussion on his own son's life. 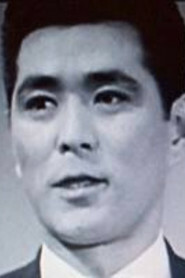 In the silence he slowly approaches Gondo, who swiftly walks away from him (but their eyes do meet for a split second, unavoidable), and then the camera pans ever so slightly and literally pushes Aoki out of the frame as though he is irrelevant. Then we have the middle, where the police procedural element takes over. We have the thrill of the cash drop-off on a speeding train, those repeated flashes of the boy and his captor, straining but unable to be discerned. And we have the first inkling of change from Gondo - symbolically he sits himself onto the ground (which is where he began) and uses his old tricks of the trade to help the police prepare the cases. Without this little segment it would be too easy for the officers to despise him (remembering that they too are living in the shadow of Gondo's wealth) but they begin to admire and respect his dedication, and in a stroke of poetic justice, so too does the public. We have the long meeting of the police where each part of the ongoing investigation is recapped in very fine detail. This has been criticised as slow and expository, completely negating the building tension, but it actually holds a much more important task. Interspersed with these updates are flashbacks showing the various officers interacting with the common folk - Kurosawa uses this as a way of slowly exploring the roots of the community and what makes it tick on. And so Gondo too follows suit, slowly losing his corporate mask, descending into menial housework, and in one poignant scene, wandering the streets he used to belong to, and gazing through the window at a small display of shoes. His roots. 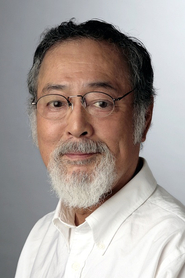 And then in the low we have where the kidnapper Takeuchi operates, in the slums where beggars and drug addicts flock to, and the frenetic, sweaty nightclubs where it becomes so easy to lose a tailed suspect. 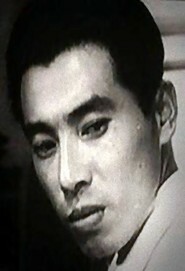 The way Kurosawa has engineering the movement of that scene is nothing more than marvellous - Takeuchi slipping in and out of the deep focus layers of the crowd, only briefly visible by his dark spectacles and the one red carnation, and the POV of the police trying desperately to keep track of him. And then as he wades through the slums to purchase heroin, we have a frightening scene where he approaches one particular addict. 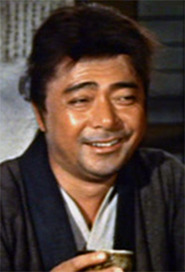 It is filmed from behind a window opening so we are mere helpless spectators, and Kurosawa has somehow perfected the lighting setup so the reflective surfaces of his glasses catch the key light in a way that lights up his eyes in the darkness like he is a panther in the night, slowly stalking his way towards the addict. It is breathtakingly terrifying and the first real moment where we come to terms with him being able to kidnap and threaten an innocent child (perhaps a tiny flaw being the newspapers segments which slightly dull the power of his eventual appearance). What we have here is a moral masterpiece woven into a crime story. In the beginning Gondo is haughty and proud - his company means the world to him, and he would not even think of humouring the kidnapper to throw it all away. But as he is pressured into paying the ransom he begins his slow descent down from heaven to hell (hence the original title) and realises that all he wants to do is make shoes his way. 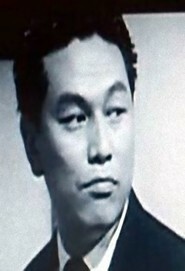 Though they are worlds apart Takeuchi has also begun the film in the same way, but has not changed by the end - wallowing in his pride, wanting no pity, still bitter about the state of affairs that forces him to glance at Gondo's high-rise heaven each day. But he is the one to commit the moral transgression, and he is the one to be punished for it.